Warning: I usually avoid spoilers, unless I'm writing about one of those classics everybody's familiar with. This movie doesn't fall into that category, so if you haven't watched it yet, and have no idea about the ending (or in this case: the different endings), please watch the movie first and read this review afterwards. 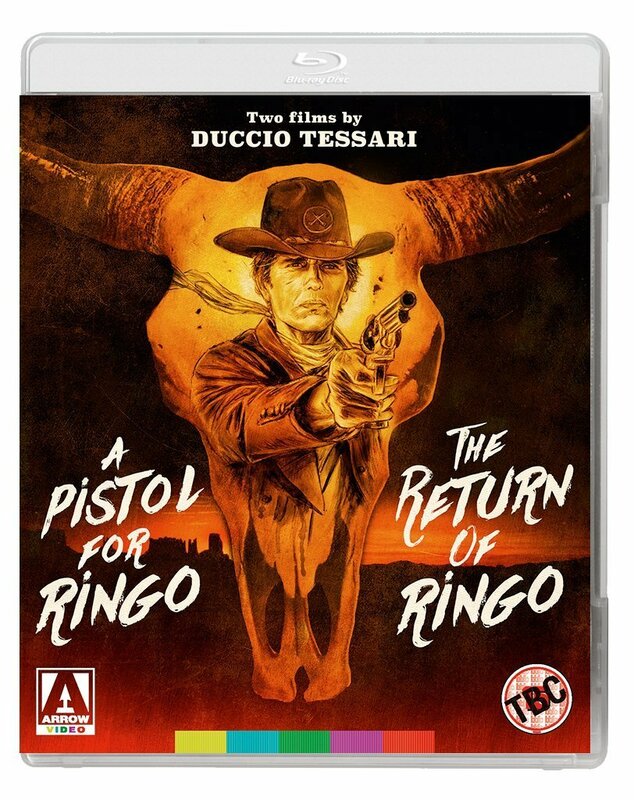 An unusual spaghetti western, long, dead-serious, melancholic. Its genesis is a bit obscure. 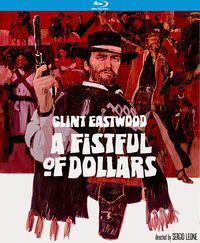 Apparently the production was brought to the attention of Albert Band (the enigmatic producer of a couple of early spaghetti westerns) by an American producer, who had trouble financing it. Band didn't like the script (he thought it was too melodramatic), but the project would offer him a chance to work with Robert Ryan, who had already signed in. 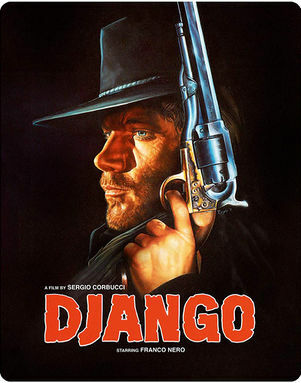 The original title was Escondido (1) and Sergio Corbucci was asked to direct, but he was replaced by Franco Giraldi (2). 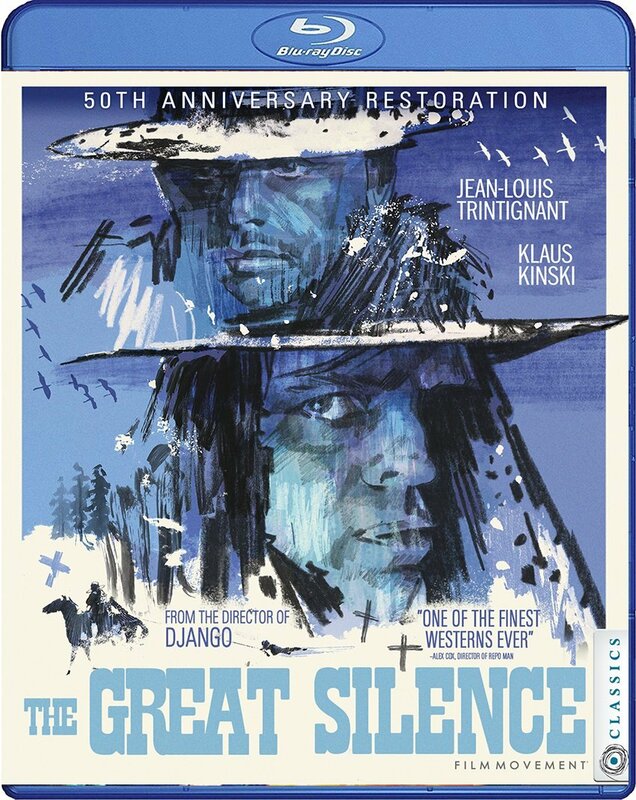 It's unknown if Corbucci actually worked on the movie, but the script must have made some impression on him, and several plot elements would later pop up in his masterpiece The Great Silence. Alex Cord is Clay McCord - an outlaw on the run - hears rumors about the governor of New Mexico offering people like him a pardon (and 50 dollars to make a new start) in the town of Tuscosa. Bounty hunters are gathering in the nearby town of Escondido and start runaways on their way to their redemption. With outlaws as victims and bounty killers as ruthless murderers, the similarities to The Great Silence are obvious. Like Trintignant, Cord has a handicap: he suffers from paralytic seizures (and fears to be an epileptic) which make him, the fastest gun around, temporarily defenseless against his enemies. All people who help him are killed and in the end the governor has to team up with him to fight off the bounty killers. In the shorter version, McCord rides out of town after being pardoned by the governor. This 'happy' ending was created by cutting the final four minutes of the longer version, in which McCord (who has given up his guns) is defenseless against the human predators bushwhacking him just outside of town. But it wasn't the only cut made; throughout the movie scenes were either cut or abridged, reducing the running time by another fifteen minutes. Most cuts are brief and seems unimportant, but somehow they changed the mood of the movie considerably. It never felt like an upbeat movie, but I only now realized how sad, how downbeat it really is (3). 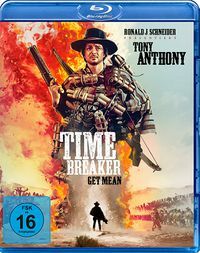 The movie shows the West as a waste land, marked by a moral decay that has made people nervous and paranoid, and has driven some of them over the edge, among them the hero: in an early scene we see him putting an empty gun against a man's head, pulling the trigger, maniacally laughing when he notices the man's horror and fear. It's a strong scene, but it only makes sense in relation to this unhappy ending, as it shows the dark and twisted side of the character. Unfortunately it was missing from the longest available version, a Japanese VHS (from a TV screening). Cuts often lead to similar contradictions, but they have finally been solved in this composite version. 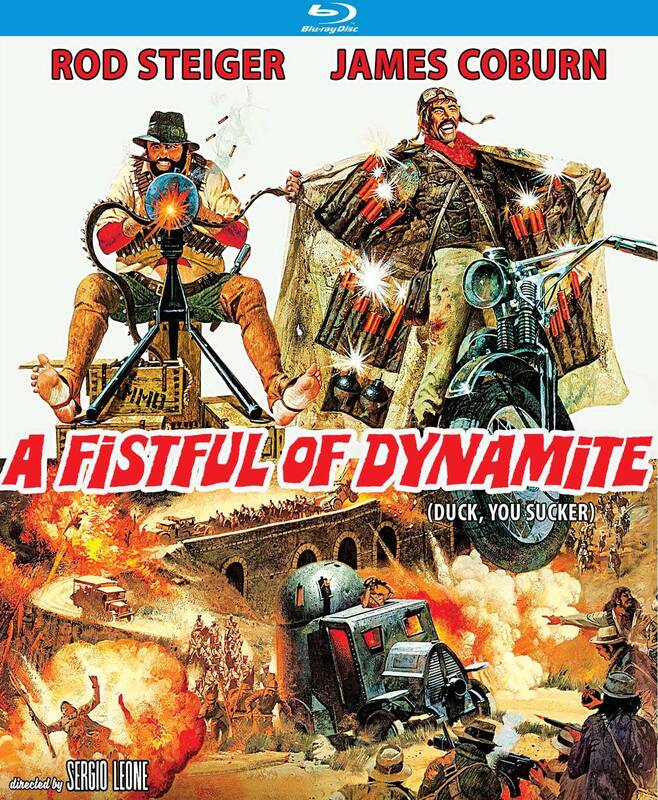 With the presence of Alex Cord, Robert Ryan and Arthur Kennedy, the film has an American feel, but the outrageous violence, including extended torture scenes and the killing of a priest and a women, mark it as a spaghetti western. 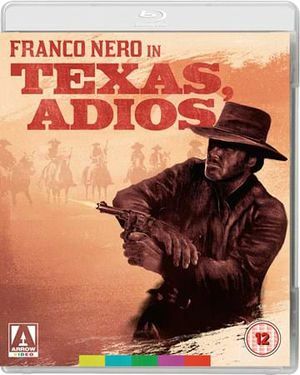 That unhappy ending is quite brutal (it's by the way closer to El Puro than The Great Silence): McCord is shot off his horse, and while crawling and stumbling he's shot some four or five times more; it's a scene that remains quite sadistic today, probably because this film has - unlike most contemporary shockers - a 'human edge': we learn to care about these people, including madman McCord. The slow pace might put off some viewers and Alex Cord's languid voice and acting style may work a little disorienting, but if you're attuned to them, Cord is perfectly believable as the troubled gunslinger. Carlo Rustichelli's unusual score, inspired by Gustav Mahler, also works better in this uncut, more solemn version. 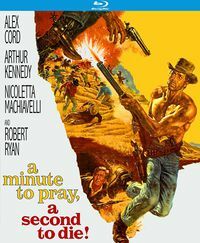 A Minute to pray, a Second to Die is a must see for every fan of the genre, but it falls a bit short to be called one of the real great spaghetti westerns. Nicoletta Machiavelli is beautiful as ever, but her role is shoehorned and they could've done more with some locations, the beautiful town of Escondido in particular. (1) The title "Escondido" was rejected by the Italians, because it was to close to 'scondito' (= plain, insipid). Several titles were proposed, such as Dove vai, ti ammazzo, literally Where(ever) you go, I will kill you. The actual title, A Minute to Pray, a Moment to Die most probably refers to the scene in which the priest is questioned, tortured and finally shot. (2) Marco Giusti, Dizionario del western all'italiano. This version is a composite edit combining the US cut with a VHS recording from an unknown Japanese TV broadcast. The final runtime on this version is 118 minutes, compared to the US release runtime of 98 min. The additional 20 minutes consist of many short scenes, as well as the extended/alternate ending. Both cuts of the film were compared side by side for any missing scenes, which were then cut out of the Japanese recording and inserted into the US cut. Where possible, this was done in sync with camera changes to make the transitions less intrusive, and when not possible, I attempted to match the frames up to flow smoothly between prints. The US version is also a "fake" widescreen print, cropped from the original fullscreen source, so the Japanese video has also been letterboxed by cropping the top and bottom out of the picture. Care was taken to transition smoothly between the two audio tracks rather than just dropping them in and out. This sometimes required some creative editing as the music did not always match up. This actually created a kind of interesting moment towards the end, as Clay is riding out of town and the music fades out as a cloud of dust sweeps up around him, and then the music fades back in. The reason for this is that the TV recording did not have any music in this scene, whereas the music never stops in the US cut. It is a moment where these two different cuts meet and create a unique effect that seems to fit this scene very well. Volume levels between the two tracks were evened out as closely as possible, although the music seemed much louder on the TV recording. Both of these versions are NTSC sources and the TV recording is NTSC "video" at 29.976FPS. Although the US release also displays as the normal NTSC 29.976FPS, it is technically encoded at 23.976FPS, unchanged from the original "film" framerate. The reason it displays as 29.976FPS is because it uses something called a "pulldown" which allows players to read it as such. Since these two videos have essentially been cut into segments and then sequentially put back together into the final uncut version, the result is a "hybrid" or mixed-source video that contains both 29.976FPS and 23.976FPS footage. By cutting and reassembling the video, no encoding or processing is required and the video remains a direct copy. The US footage has been left untouched whereas the Japanese recording was re-encoded once for letterboxing.